AAIMHI is a national organisation of professionals from many fields who work with infants, young children and their families. Our mission is to work towards improving professional and community recognition that infancy and early childhood is a critical time for the development of emotional, physical and mental health. AAIMHI is affiliated with the World Association for Infant Mental Health (WAIMH) and contributes to international developments and initiatives. AAIMHI organises regular national conferences as well as workshops and seminars to enhance knowledge about social and emotional development in 0 to 3-year-olds and develop skills to assist families and communities to build nurturing and strong relationships with their infants and young children. AAIMHI works with other agencies on advocacy and educational initiatives, responds to Government inquiries and reports relating to infancy and provides information to members through its website and newsletter. AAIMHI also develops position statements and guidelines to support Infant Mental Health professionals and parents. View AAIMHI conference website for more information. Beulah Warren steps down from AAIMHI NSW Branch after 30 years!! Listen to an ABC podcast with Beulah, recorded in 2014. It is with great sadness that we acknowledge the death of Adelaide Child Psychiatrist Dr Bertine Cramond (Mackintosh) earlier this year. Bertine was a pioneer in infant, child and adolescent mental health in Adelaide and Australia. 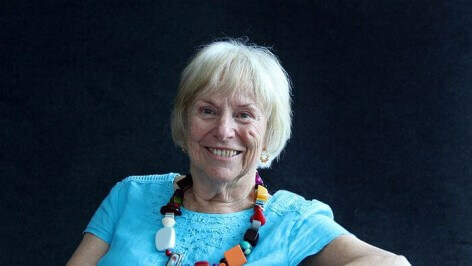 She provided inspirational support and intervention to many children and their families, and introduced infant mental health concepts and the work of Bowlby, Winnicott, and Klein to South Australian child and mental health workers from a range of disciplines. Bertine continued to teach and support professionals, individually and in teams, in various settings until the late 1990’s. She truly understood and modelled respectful, sensitive, systemic and interdisciplinary teamwork. It was a privilege to enjoy her humour, generosity and sharp insights, and to appreciate her influence on the field of infant, child and adolescent mental health in South Australia. AAIMHI MEMBERS ... are you receiving emails from AAIMHI? If not, please check your SPAM box or Promotions folder as many email providers consider our emails to you as advertising or promotions and do not send it to your primary mail folders. for they hold the memories, the traditions, the culture and hopes of Indigenous Australia. The World Association for Infant Mental Health Congress will be held in Brisbane in 2020!! The inaugural meeting of the Australian Association for Infant Mental Health was held on 14th September 1988. Congratulations NSW Branch!! Healthy Future for All: Research, Education, Policy.